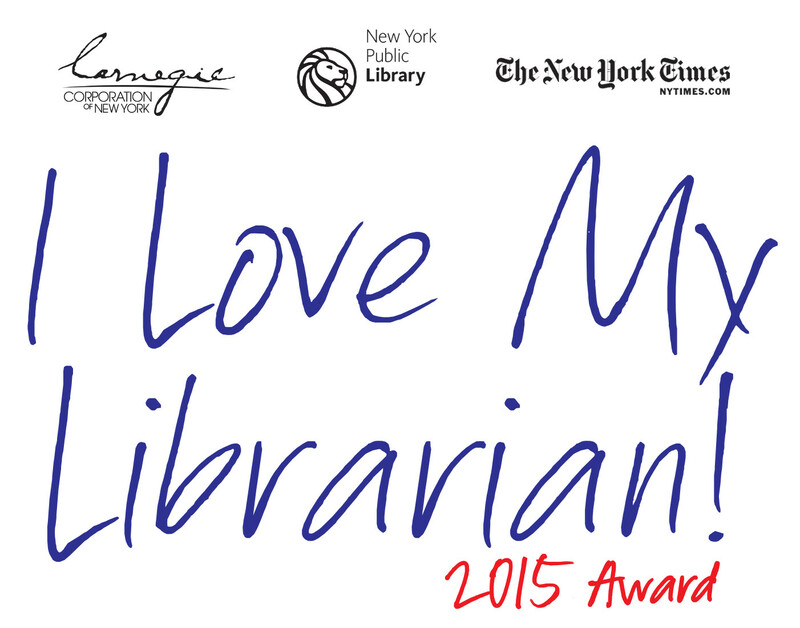 NEW YORK — The American Library Association (ALA) is pleased to announce that The New York Public Library has joined as one of the co-sponsors of the I Love My Librarian Award. The New York Public Library will work with the ALA in the promotion of the award and the selection process. The award will be funded through 2017 thanks to a $200,000 grant from Carnegie Corporation of New York, which has been the award’s primary sponsor since the ALA took over administration of the award from The New York Times in 2008. The I Love My Librarian Award invites library users nationwide to recognize the accomplishments of exceptional public, school, college, community or university librarians. Nominations will run now through September 28 and are being accepted online at ilovelibraries.org/ilovemylibrarian. Up to 10 librarians will be selected. Each librarian will receive a $5,000 cash award, a plaque and a travel stipend to attend the awards ceremony and reception in New York City on December 3, 2015, hosted by Carnegie Corporation of New York. Each nominee must be a librarian with a master’s degree from a program accredited by the ALA in library and information studies or a master’s degree with a specialty in school library media from an educational program accredited by the National Council for the Accreditation of Teacher Education. Nominees must be currently working in the United States in a public library, a library at an accredited two- or four-year college or university or at an accredited K-12 school. In the award’s first seven years, library supporters nationwide have sent in more than 14,000 nominations for their librarians. A total of 70 librarians have won the award to date. To learn about past award winners, please visit ilovelibraries.org/lovemylibrarian/2014/14winners. The American Library Association (ALA) is the oldest and largest library association in the world, with more than 55,000 members in academic, public, school, government, and special libraries. The mission of the American Library Association is to provide leadership for the development, promotion and improvement of library and information services and the profession of librarianship in order to enhance learning and ensure access to information for all. The ALA administers the award through the ALA’s Public Awareness Office which promotes the value of libraries and librarians.